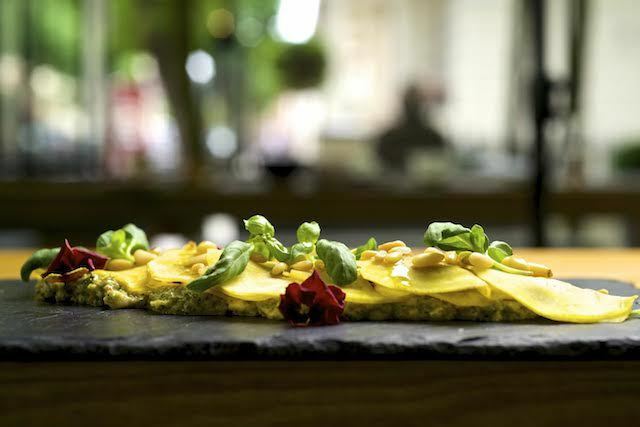 ‘Raw vegan’ is the fastest growing category of meat-free restaurants in London. Whereas a new vegetarian venue opens only once in a while, raw vegan places — no doubt blessed by the glittering stardust of celebrity diets — seem to pop up every few months. But what’s the food like? To put it politely, it’s variable. We’ve been eating at some of the capital’s newer raw vegan cafés recently — purely in the name of research, mind — but have been sorely disappointed. The wide-eyed, over-zealous, cult-like connotations of many are off-putting to those who’re not part of the raw food community. One raw — sorry, ‘living food’ — restaurant, for instance, issues a full separate glossary of ‘activated’ ingredients (no, we have no idea what it means either) used in its menus. We’re sceptical, at best, of the raw movement’s health claims. And then there’s the food. If you’re not used to them, raw vegan analogues of cooked dishes just don’t taste good. (A friend recently pointed out that it works the other way, too: to a raw vegan, something like cheese on toast might taste vile. Fair enough). So 'cheese’ made from nuts, for instance, can be stodgy and tastes far from cheesy; coconut in various guises used in place of dairy gives a fatty mouthfeel; and ‘breads’ and ‘pastry’ made from nuts and seeds often taste rancid and have too-brittle texture. Ingredients often appear to be randomly thrown together based on their alleged health properties rather than any regard to taste. Their overpowering flavours and textures would, quite frankly, benefit from being toned down with the application of heat. However, this is not the case at the RAW restaurant at La Suite West. Like other Anouska Hempel hotels, this chic boutique place in Bayswater boasts minimal design, all stark dark woods, plain cream walls, glossy marble surfaces and clean lines. Other than a pretty landscaped terrace outside, it’s much more understated and less showy than her other venues. While London was otherwise engaged during the Olympics, RAW quietly opened in the summer of 2012. The small oriental-influenced dining room, moodily lit with retro angular lamps, is suffused with Zen-like stillness and tranquillity. Despite its name, the restaurant serves raw as well as cooked dishes, and we tried a mixture of both. The raw ones (here defined as 'not heated above 42C/ 118F degrees') are clearly marked with ‘R’, and ones containing gluten with a ‘G’. 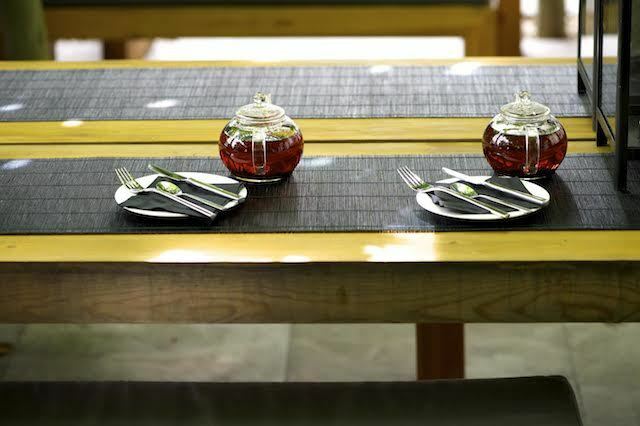 Compared to other similar restaurants, the menu is refreshingly free of weird ingredients like cordyceps and xylitol. Even more refreshingly, it doesn’t make any health claims and lets the food do the talking. 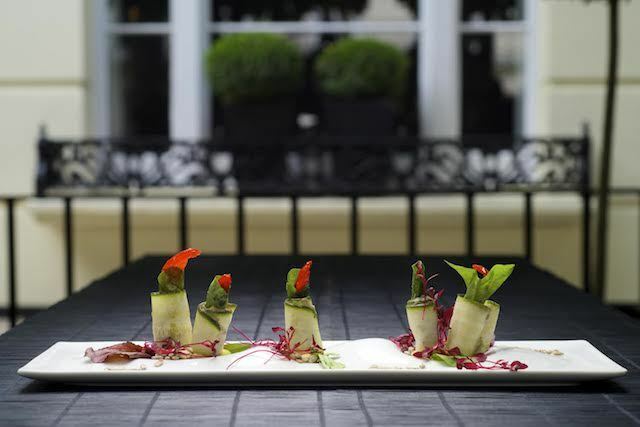 Beautifully presented zucchini rolls are crisp, wafer-thin ribbons of raw courgettes twirled around slivers of sweet peppers and crunchy sunflower seeds, strewn with red micro shoots and accompanied by mild, creamy avocado pâté. It’s a pleasant rather than an exciting dish, but the light, fresh flavours get the meal off to a good start. Eggless pumpkin ‘soufflé’ is made by cooking down the squash with onions and garlic to a thick purée, so that it acquires a fluffy soufflé-like texture. Its sweet, mellow taste benefits from the earthy blast of shiitake mushrooms, though the accompanying sesame-herb emulsion is a touch too sharp. Next is ‘wild’ spinach gnocchi with spicy tomato sauce, mint leaves and pine nuts. “Is the spinach really wild?” we asked, intrigued, and were met with a brisk “yes, madam.” (Service is serious and rather elegant here). The soft, pillowy dumplings come with a pool of flavoursome (though not spicy) tomato sauce and generous amounts of pine nuts, the verdant freshness of mint making the dish come together. It’s underseasoned though, and much improved after a good sprinkling of salt and pepper. 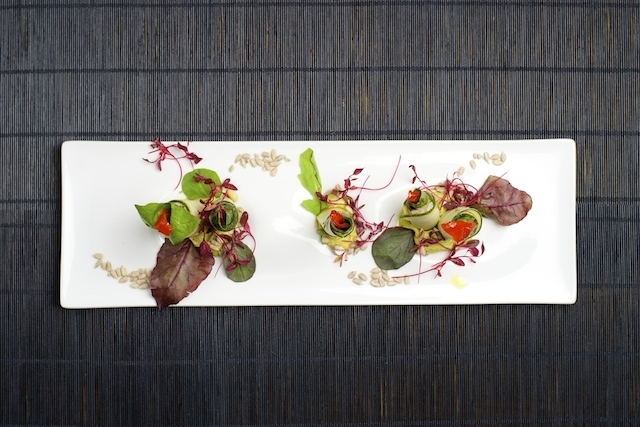 Raw golden beet ‘ravioli’ is more stridently flavoured: crisp discs of beetroot with crunchy almonds and the fruity sweetness of dates are paired with broccoli and ginger pesto, and the persistently warm pepperiness of ginger comes through loud and clear. To finish, orange and date ‘cheesecake’, on a hefty (but miraculously un-stodgy) nutty-tasting base has a bright citrus flavour, but the over-enthusiastic sprinkling of bitter-tasting raw orange zest on top is superfluous. The ‘cheese’ here is made from coconut butter, but it’s deliciously mellow and creamy, with none of the fatty aftertaste that you often get with this ingredient. 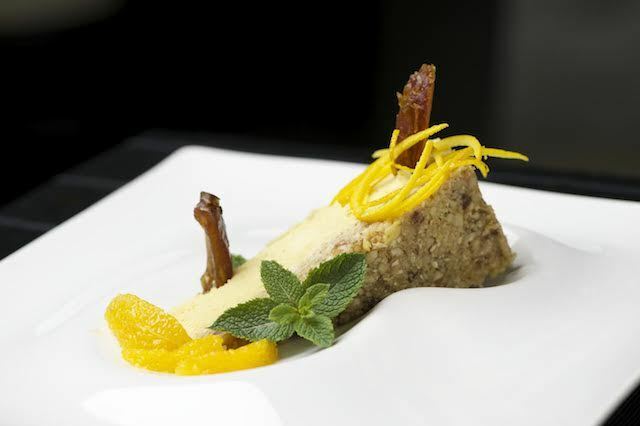 Passion fruit bavarois with caramel sauce is wonderfully mild and tangy. No alcohol is served; but there’s an imaginative list of properly-mixed 'mocktails' and soft drinks. We paid less than £40 each for a three-course meal with drinks and service. Nik Heartland’s cooking is confident and skilful with technical panache and a great attention to detail: here’s a vegan chef who clearly takes pride in his work. Yes, this is health food for stylistas, but with the emphasis firmly on taste. It’s brave for a centrally-located hotel to serve only vegan lunch, dinner and afternoon tea without any alcohol in its only restaurant (some meat is served at breakfast) — but it pulls it off with aplomb. RAW at La Suite West, 41-51 Inverness Terrace, W2 3JN. http://www.lasuitewest.com/raw-vegan-restaurant-london Tel: 020 7313 8484.